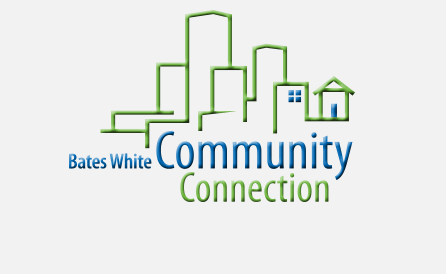 Giving back to the community is an integral part of the Bates White culture. 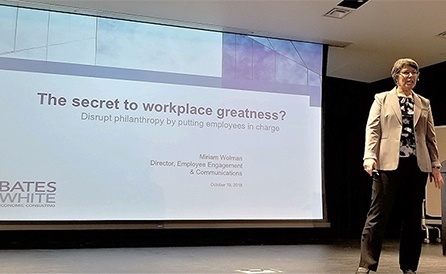 Through our Community Connection program, any employee or group of employees can propose and organize initiatives for nonprofits for which they are passionate. As a result, we consistently have more than 30 programs a year for a wide range of organizations. And in 2018, we set a new record of annual giving, donating more than $165,000. Employees enjoyed a variety of smoothies, raising more than $2,100 for G-PACT, an organization that supports individuals battling gastroparesis. Competing in the “Great Bates White Bake Off,” employees raised more than $1,500 for Children’s Law Center, while enjoying amazing desserts! Balloons could be found throughout the office during this year’s Balloon Wars, raising more than $7,300 for Camp Kesem GW and Deworm the World. Employees volunteered at DC Central Kitchen to prepare nutritious meals for homeless shelters, clinics, and other local organizations. Bates White hosted 15 students from Techbridge Girls to demonstrate how STEM skills are applied in the business world. Employees cleaned out their closets and donated more than 1,600 items of clothing to Bread for the City during our semi-annual clothing drive.